What is Omaha Restaurant Week? Omaha Restaurant Week is a celebration of the unique, exciting culinary scene in Omaha metro. During the promotion, participating restaurants offer an exclusive special menu that features a multi-course dinner at a fixed price of $20, $30, $40 or $50 per person (also called a "prix fixe" menu). Patrons can select from their choice of appetizers, entrees and desserts. Food lovers may dine out at as many participating restaurants as they like during Omaha Restaurant Week, explore new dining opportunities or enjoy old favorites. 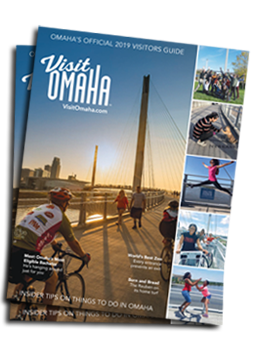 How do I participate in Omaha Restaurant Week? There are no tickets, passes or coupons required. Food lovers may simply dine out at as many participating restaurants as they like during Omaha Restaurant Week, explore new dining opportunities or enjoy old favorites. What is a prix fixe menu? A "prix fixe" menu is simply a menu of pre-determined items presented as a multi course meal (typically an appetizer, entree and dessert) at a set price. For Omaha Restaurant Week, each diner will typically have their choice of one of three appetizers, one of three entrees and one of three desserts from the prix fixe menu. Do all members of my party have to order off the restaurant week menu? No, the regular menu is also being offered during the promotion. Reservations are not required, but are strongly encouraged. Visit the restaurant profile page to make arrangements for your party. Are there any additional costs I need to be aware of? Please keep in mind that beverage, tax and gratuity are not included in the special pricing. There may be some restaurants that do offer a beverage, consult individual menus for specifics. Gratuity, however, is never included and the wait staff work very hard this week. Please tip generously! How does the Food Bank for the Heartland benefit? 5% of the price of each multi-course meal purchased during restaurant week will be donated to Food Bank for the Heartland. Restaurants and menus are subject to change. Dine in only. Dinner promotion only.